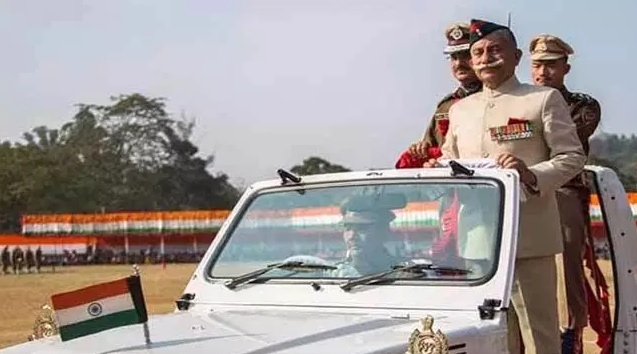 Arunachal Pradesh governor Brigadier B D Mishra (Retd) on Saturday appealed to the people of the state to cooperate and offer their land willingly whenever required in public interest. After unfurling the national flag and taking the salute at the parade at the Indira Gandhi Park in Itanagar on 70th Republic Day, the governor emphasized on road and air connectivity and urged the citizens to think and act in the larger interest of the people, discarding individual benefits and to allow developmental projects to take off without raising objections. In his speech, Mishra also highlighted the achievements of the state government during the last one year in various fields, including education, health, agriculture and allied sectors, road connectivity, civil aviation, hydropower, water supply, sanitation, social justice, women and child development, sports, public security and law and order. Mishra said that one of the major achievements in the health sector last year was commissioning of the Tomo Riba Institute of Health and Medical Science (TRIHMS) College, while highlighting the ambitious the Chief Minister’s Aarogya Arunachal Yojana (CMAAY) – a health insurance scheme for Rs 5 lakh in convergence with the Pradhan Mantri Jan Aarogya Yojana (PMJAY). The state government has distributed free LPG connections to 26,818 beneficiaries under the Pradhan Mantri Ujjwala Yojana, the Governor added.